We recently played a house concert through Groupmuse, which is an online chamber music organization where folks who want to host a concert can be matched with performers and listeners. 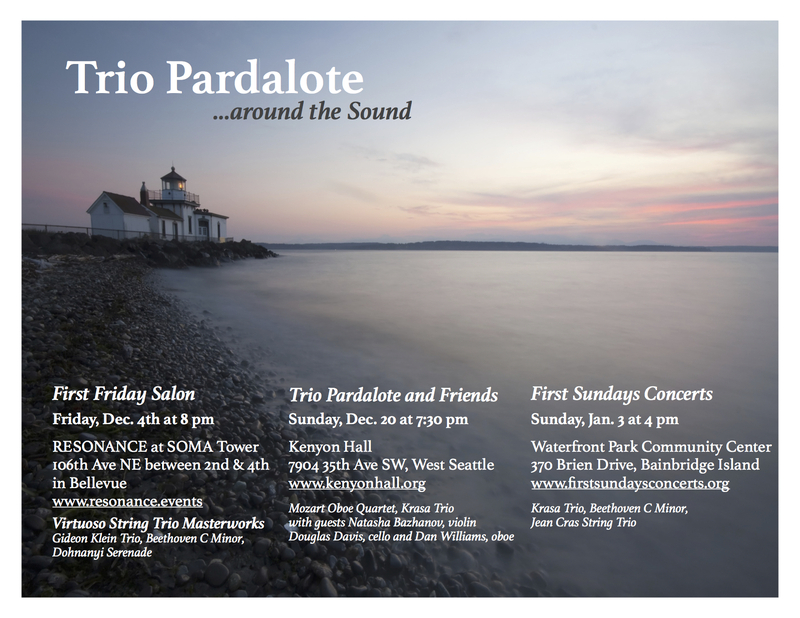 The wonderful journalist and arts writer Rosemary Ponnekanti wrote up and created this video about our Jan. 31 performance. 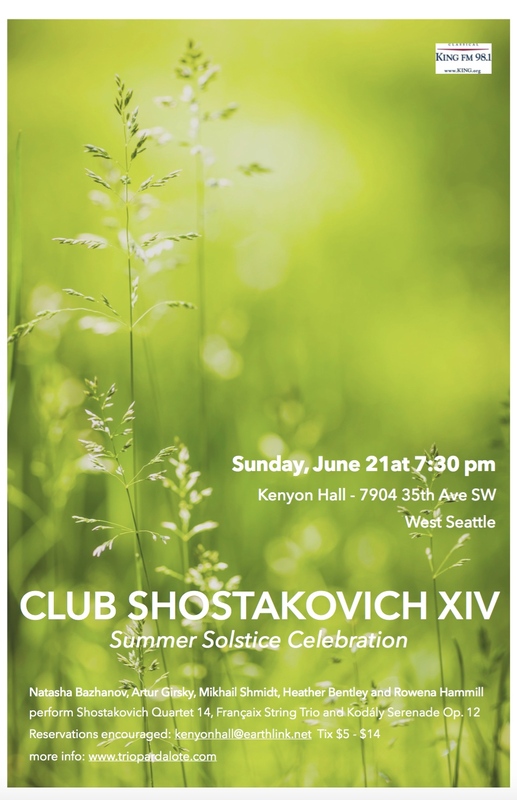 Join us at Kenyon Hall for Club Shostakovich XIV, June 21st at 7:30pm. 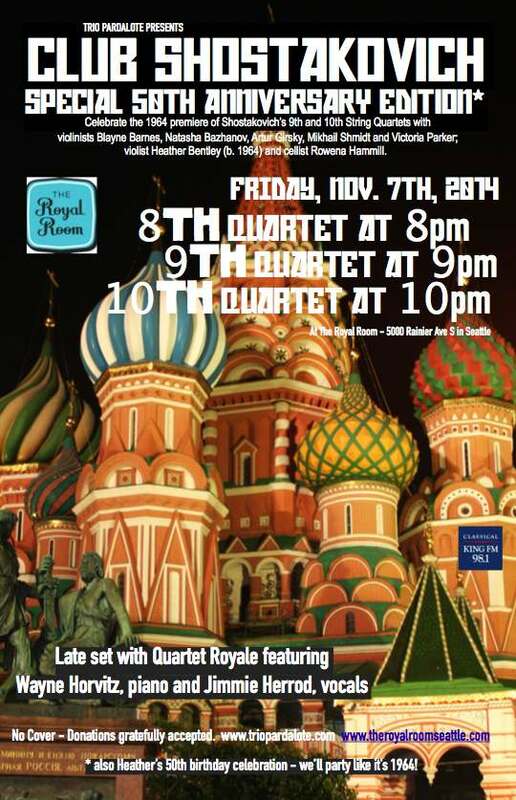 We have a fearsome foursome of Russian violinists lined up- Mikhail Shmidt, Artur Girsky, Natasha Bazhanov and Eugene Bazhanov. 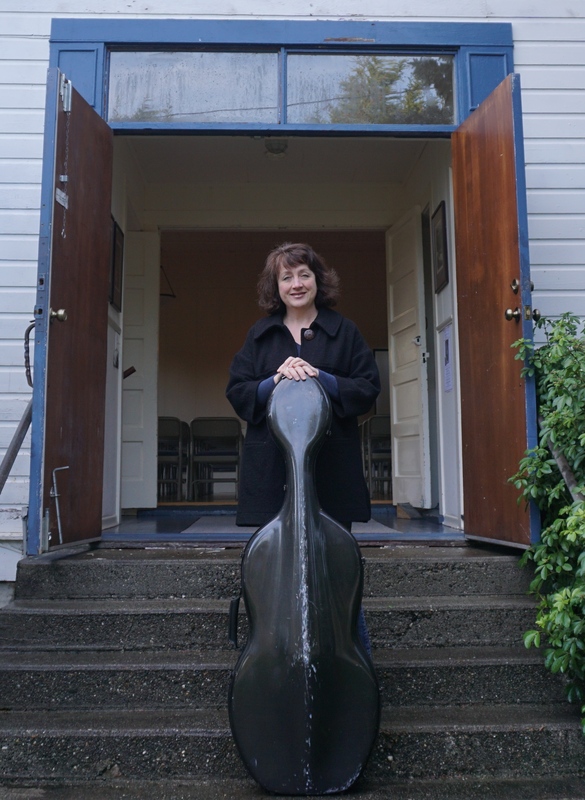 Along with Heather Bentley on viola and Rowena Hammill on cello, they will be playing Jean Francaix’s delightful String Trio, Luciano Berio’s Duos for 2 violins, Kodaly’s trio for 2 violins and viola and Shostakovich’s 14th. And of course there is Lou’s virtuosity on the Wurlitzer AND the one dollar root beer floats. Don’t miss it! 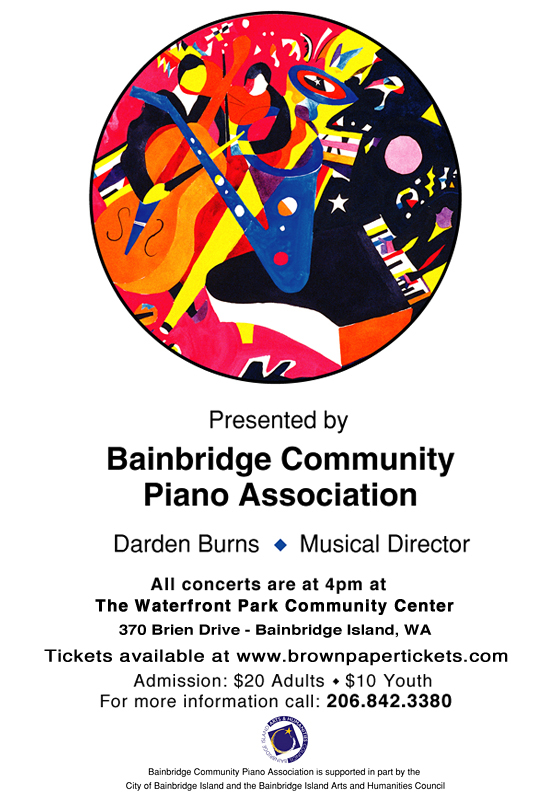 Performers include the Girsky Quartet, Heather Bentley, Blayne Barnes, Douglas Davis and soprano Jennifer Krikawa. 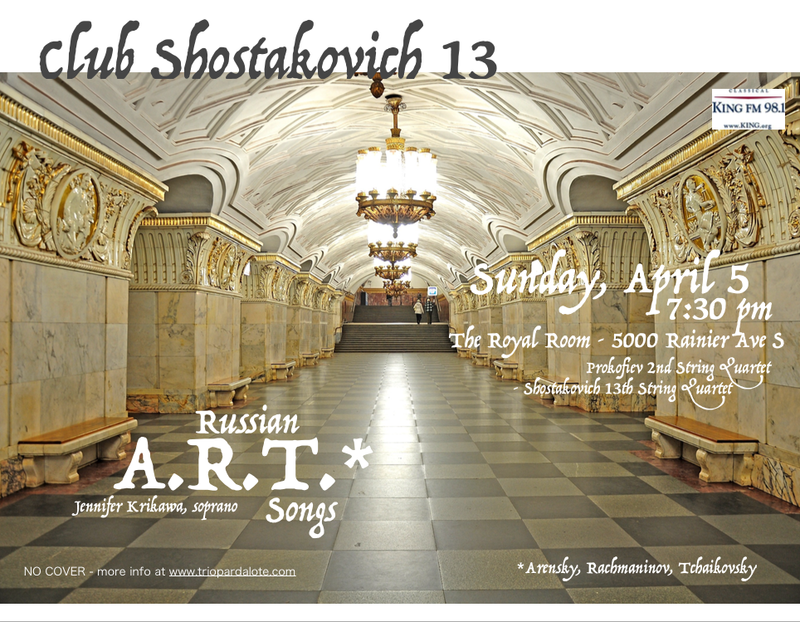 Music of Rachmaninov, Tchaikovsky, Arensky, Prokofiev and of course, Shostakovich! Repertoire includes pieces by Theresienstadt composers Pavel Haas, Hans Krasa and Gideon Klein, as well as Shostakovich Quartet no. 10 and a selection by Moishe Weinberg. Performers: Trio Pardalote (Victoria Parker, Heather Bentley, Rowena Hammill), Douglas Davis, Artur Girsky, Natasha Bazhanov and Eugene Bazhanov. Please join us for an evening of stirring music and remembrance. Suggested donation: $20/$10 seniors/students.